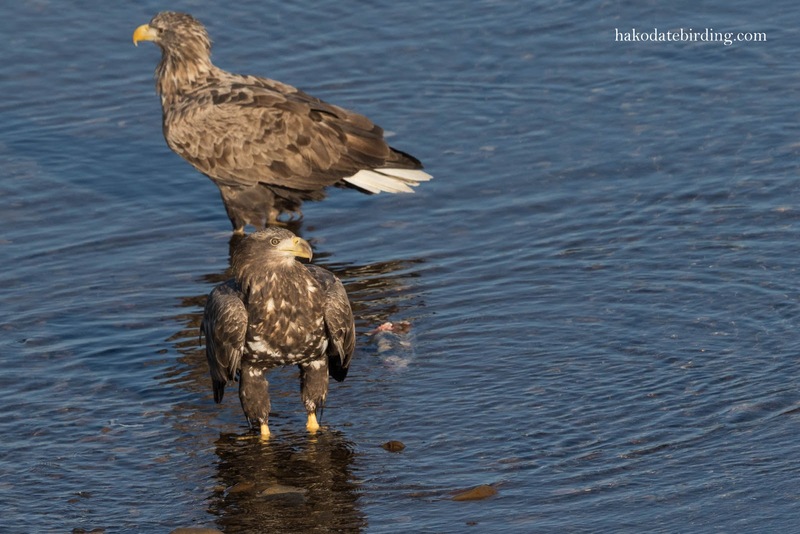 Just in time for an immature White-tailed Eagle to join the other two.............and most of the shots could fit in the frame. And that was that. The sun went down and the area beneath the bridge was in shade................and the Smew finally swam a bit closer. 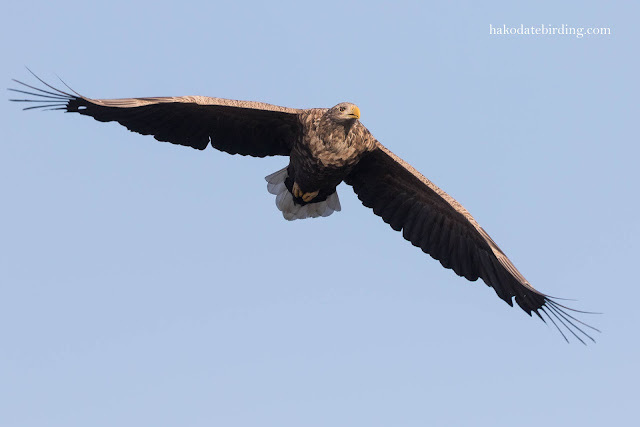 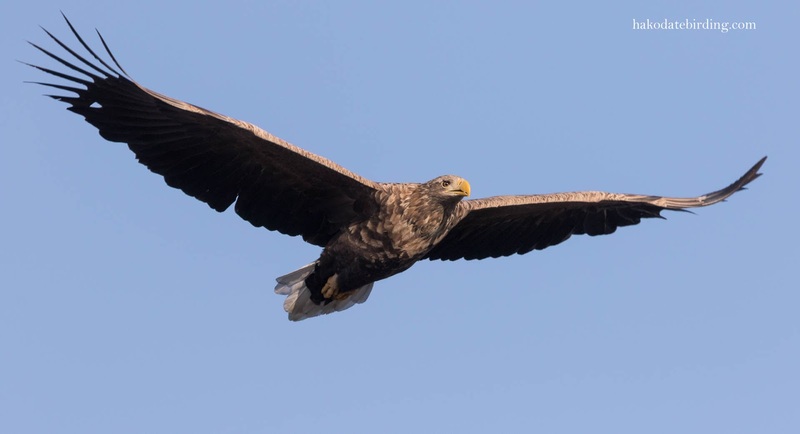 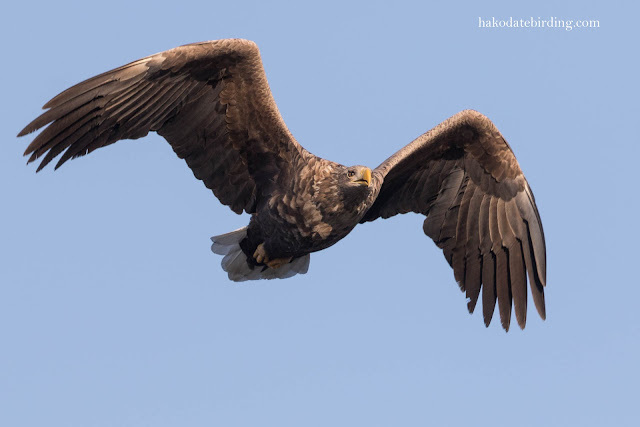 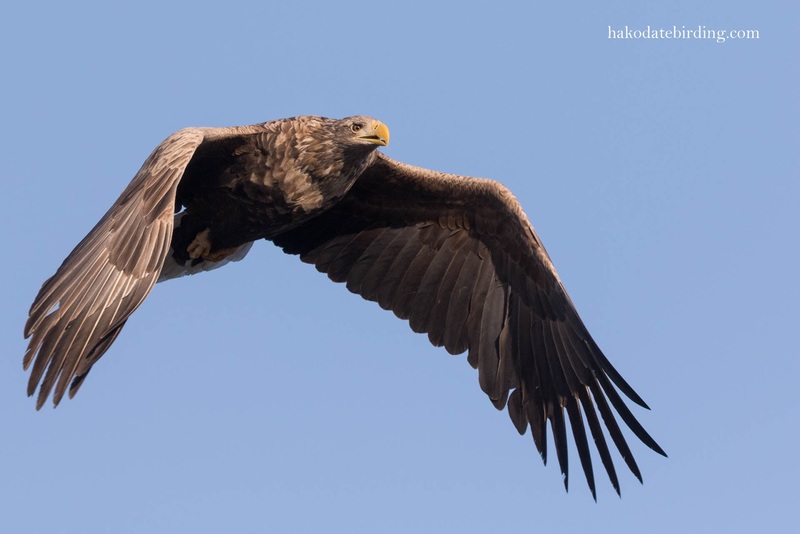 Has the eagle season already peaked? If so it is very very early. 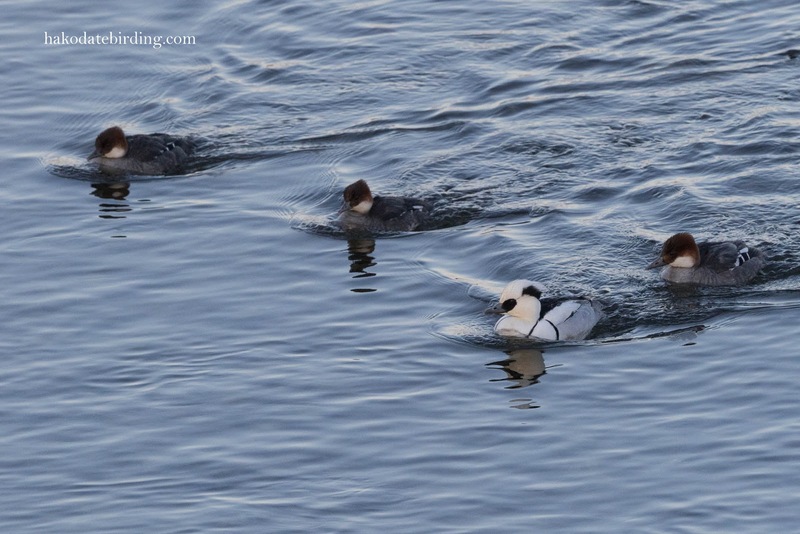 Great to see the Smew - one day I hope I'll see one in real life!!!!! 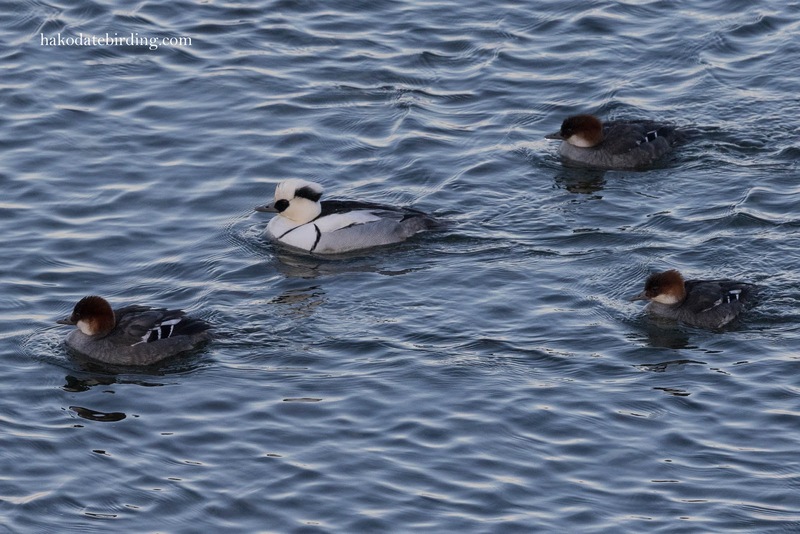 The eagles are magnificent, of course, but the Smew is very beguiling too. 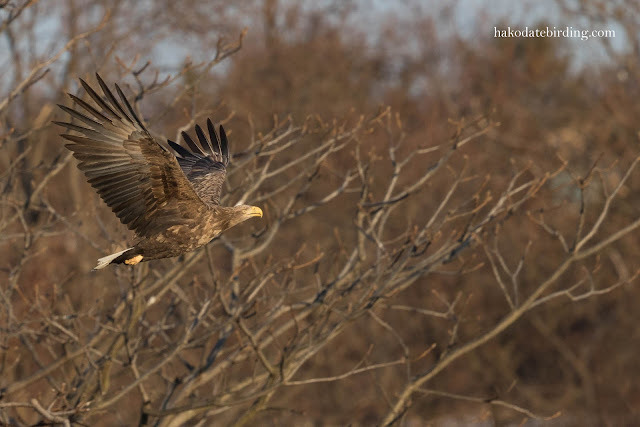 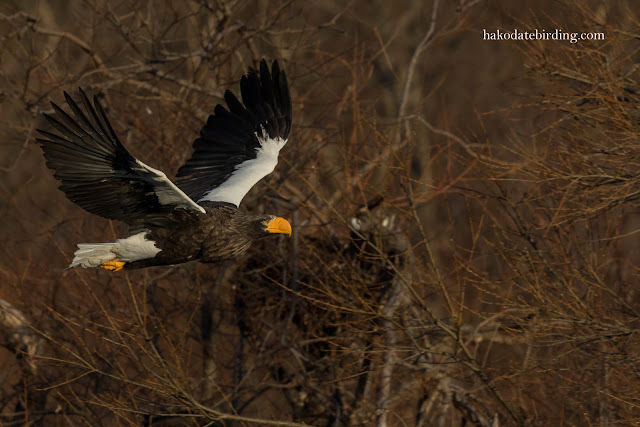 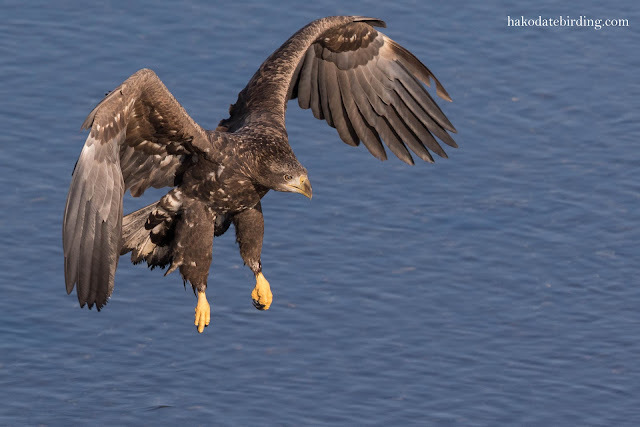 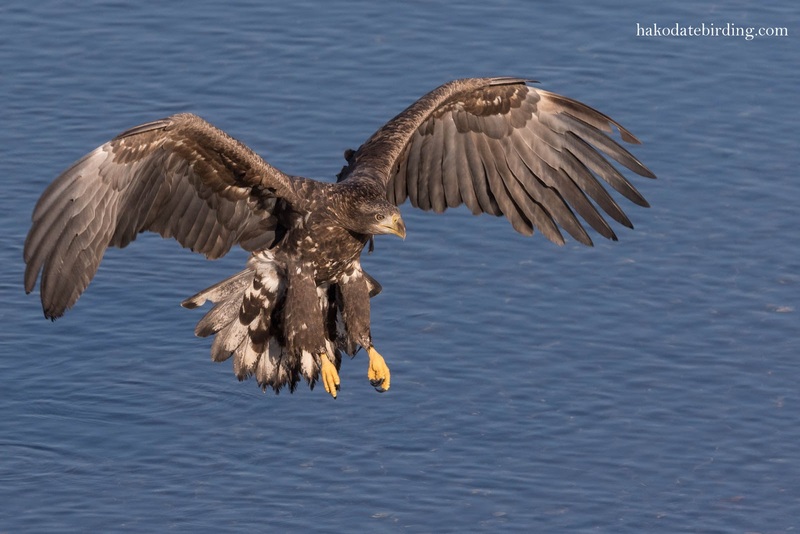 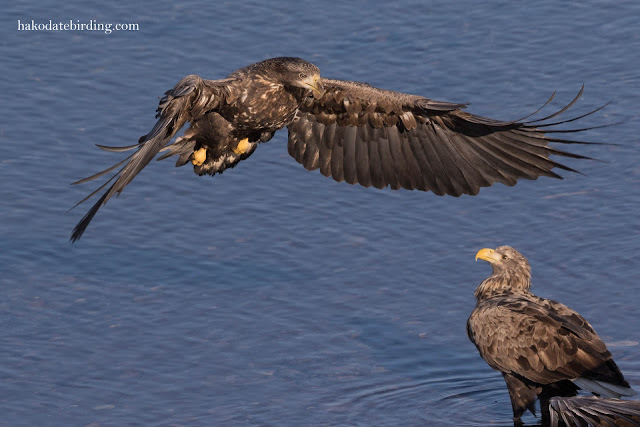 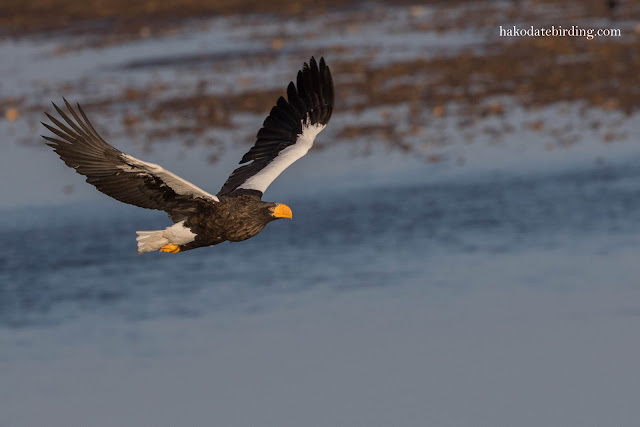 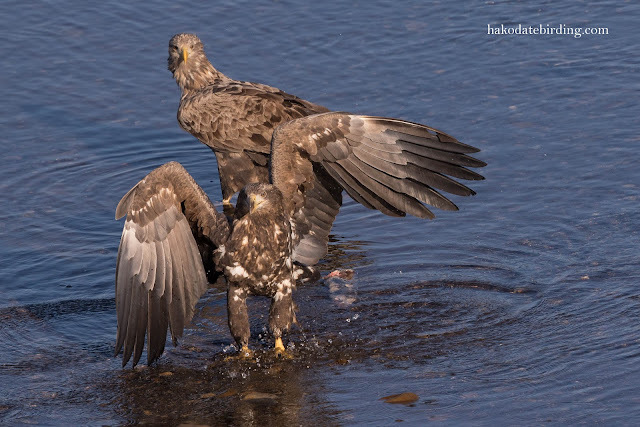 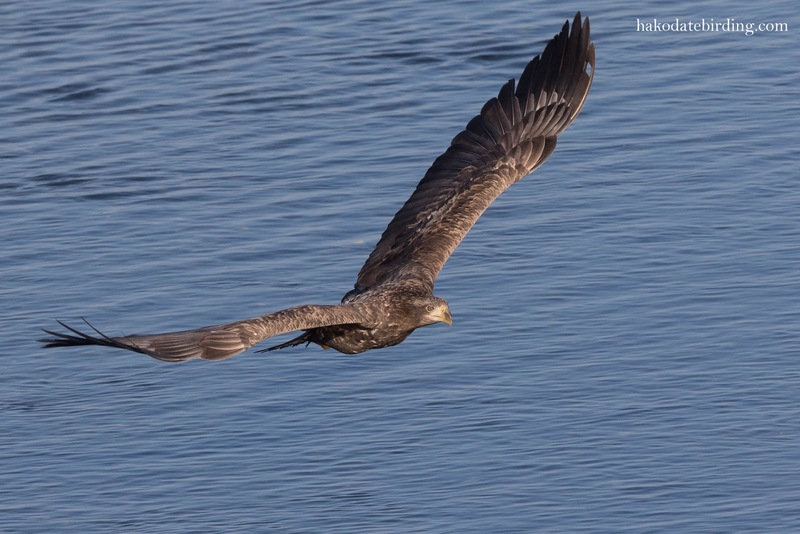 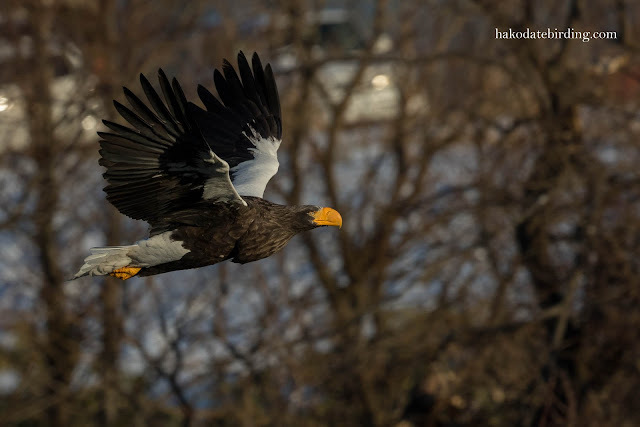 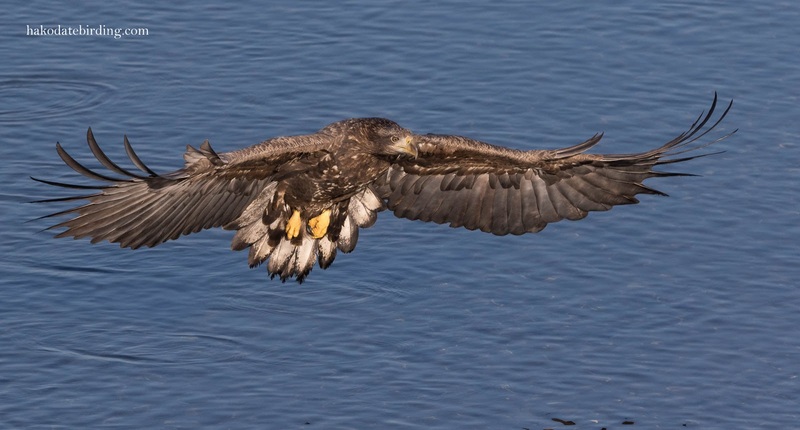 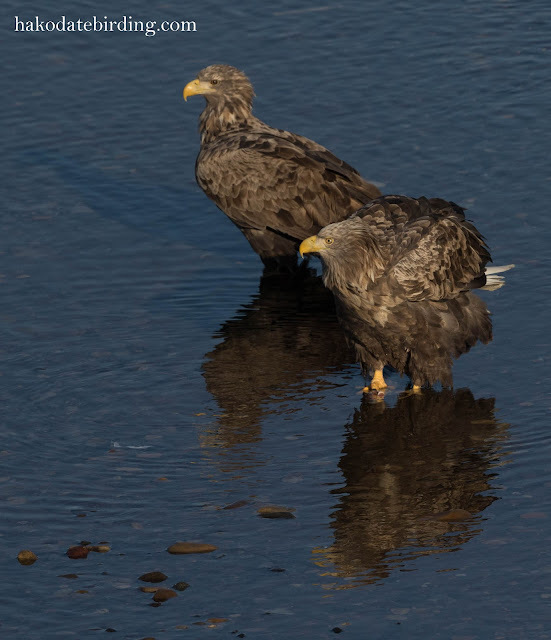 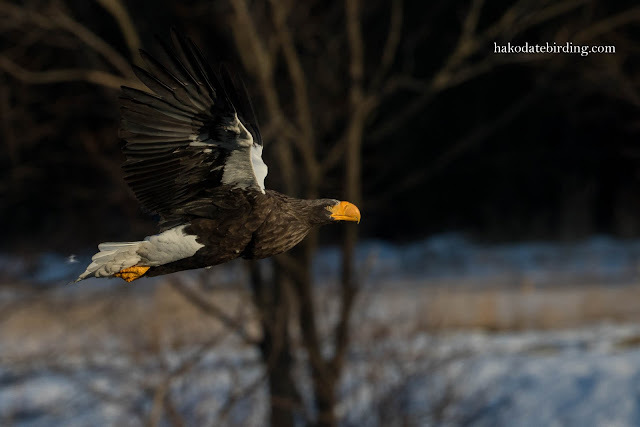 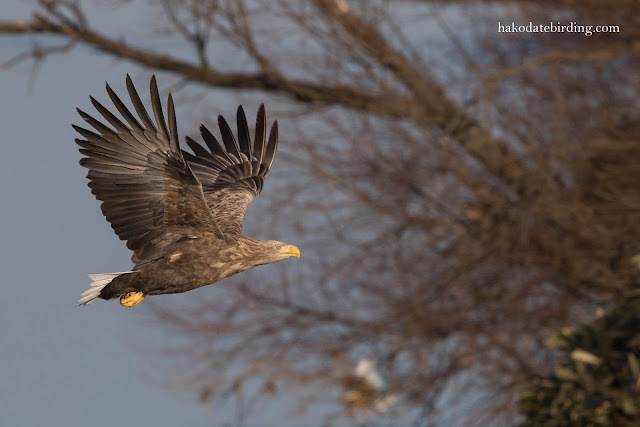 Magnificent images of the Eagles as well as the ducks. Have a wonderful weekend.